*Disclaimer: I was given samples of the gear and apparel shared here upon my request from the companies involved for inclusion in this gift guide as my picks for what to give in 2015. All opinions expressed here are my own. It’s that time of year again when I share some of my picks for gear that you may want to add to your holiday wish list or a wish list for a loved one. This year I have taken on my first Half Ironman and a trail marathon out in Utah. During my training I have discovered amazing gear that is perfect for swimming, biking, running, hiking, yoga as well as recovery and winter training. This years holiday picks represent some of my favorite companies many of which are owned by strong female athletes as well as many products that are Made in the U.S.A. Be sure to check out the end of my post as well for a link to my Fresh Giveaways page where you will have a chance to enter to win some of the amazing gear featured in this years holiday gift guide. I am in love with these tights! The Go the Distance has been a favorite part of my winter wardrobe since its creation. The tights feature a compression panel in the waist as well as a secret pocket that fits a key, ID, or energy gel. I love the Contoured back paneling with seams that are very flattering. I have very long legs and these do the job of keeping my whole leg warm without leaving my ankles open to the winter chill. The polyester spandex blend is moisture wicking and comes in three colors/patterns: Heather, Dream (Shown) and standard black. 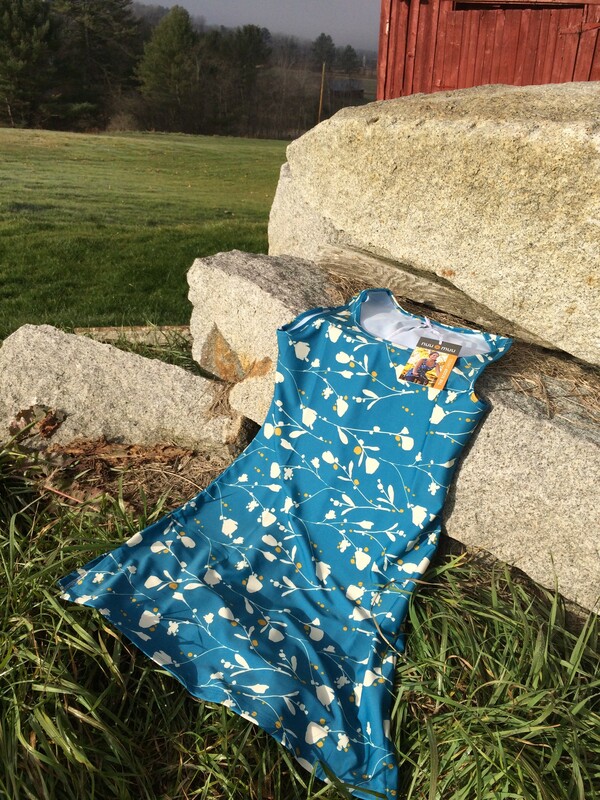 The heather and dream print fabrics are extra soft and cozy. Smashfest Queen, a company started by two Ironwomen triathletes, Hilary Biscay, and Michele Landry offers triathlon, cycling, running and casual apparel. Smash designs bold and strong triathlon kits for triathletes in the making to Ironwomen and also has gear to keep you looking fast and strong during your training. I am always looking for tanks to wear when I am training and the Fast n Loud Endurance Tank is perfect with a built-in shelf bra an interior pocket for your energy gels and a slick racerback. The fabric provides UV protection and would be perfect on the run, on the ride or even in the pool. I love the signature Smashfest Queen hummingbird log design in bright rainbow colors on the front. Be sure to check out the size chart when ordering. I typically wear a small in tops but in this tank am a medium. This top is made in the USA! 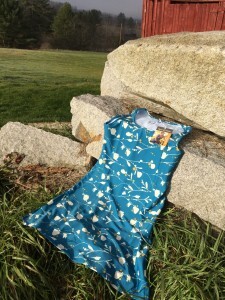 Nuu-Muu is another great woman owned company based in Washington State. All of their apparel is created for the active woman and made in the USA. Their philosophies include caring for the environment through responsible sustainable packaging and labeling and manufacturing processes and also in strong women and girls who like to have fun. 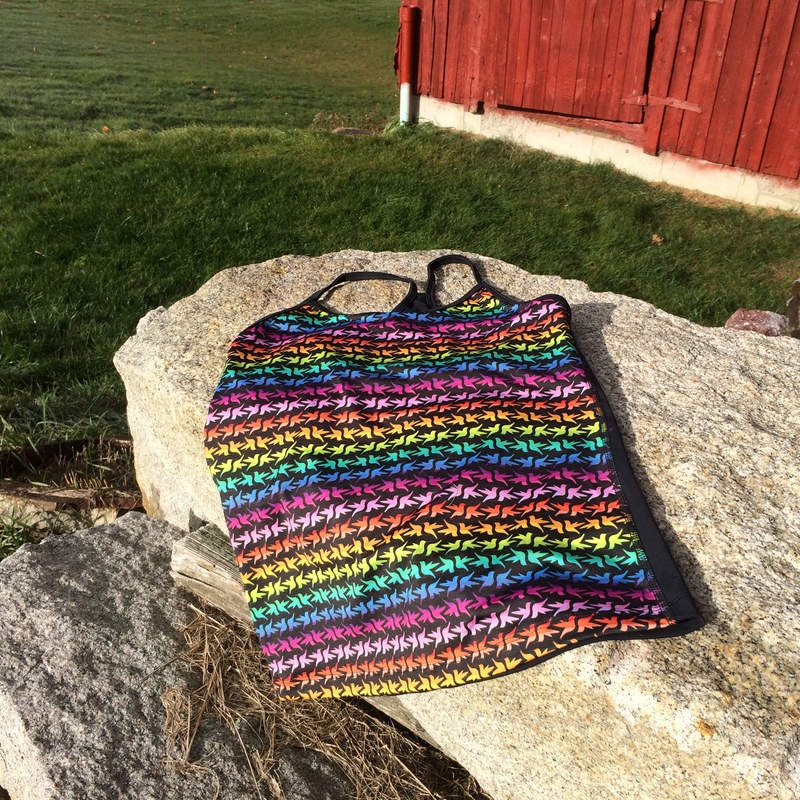 The Nuu-Muu Scoop comes in 4 colors–Teaclicious (pictured), Dahlia, Sunshine and Haiku. This dress has a beautiful scoop neckline hence the name scoop. The Scoop is perfect to be worn out and about with a pair of leggings or while being active in yoga, out for a run, playing with your kids and more. 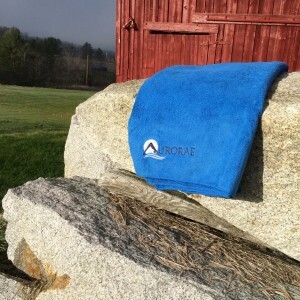 This Super Absorbent Multipurpose Micro-fiber Towel has been perfect for days at the pool and also for the yoga classes that I have just started taking. During yoga you can place this towel over your mat to give you an additional non-slip surface and also to provide an absorbent surface. This towel can be rolled up or folded into a compact square that is easy to take along to your next workout. Nine colors are available. This sport towel will also be perfect for days at the beach with the kids as it is less bulky than a normal towel. Deep Tissue Roller: High-density roller works through tight muscle and tissue and reduce intense aches and pains all over body. Dual Density Foam Covers: 2 advanced-technology 5mm covers used separately and in combination on Deep Tissue Roller for cushioned surface with less intense rolling experience. Easy to add and remove. Outer cover is also integrated carry case. Muscle Release Ball: 3” Muscle Release Ball offers moderate hardness when rolling on floor and when seated. The Ball is very effective in releasing muscles in shoulders, lower lumbar, glutes, hamstrings and calves. Pinpoint Pressure Peanut:Ergonomic peanut shape reaches trouble spots including feet, thoracic spine, rotator cuff and Achilles tendon. Ultra hard with small surface areas, the Peanut focuses pressure in specific areas to relieve acute pain. This kit will definitely be my friend as I launch into my next marathon training cycle. I know that the pinpoint pressure peanut will be especially helpful to targeting those terrible knots and adhesions that I seem to get. Take it from me! 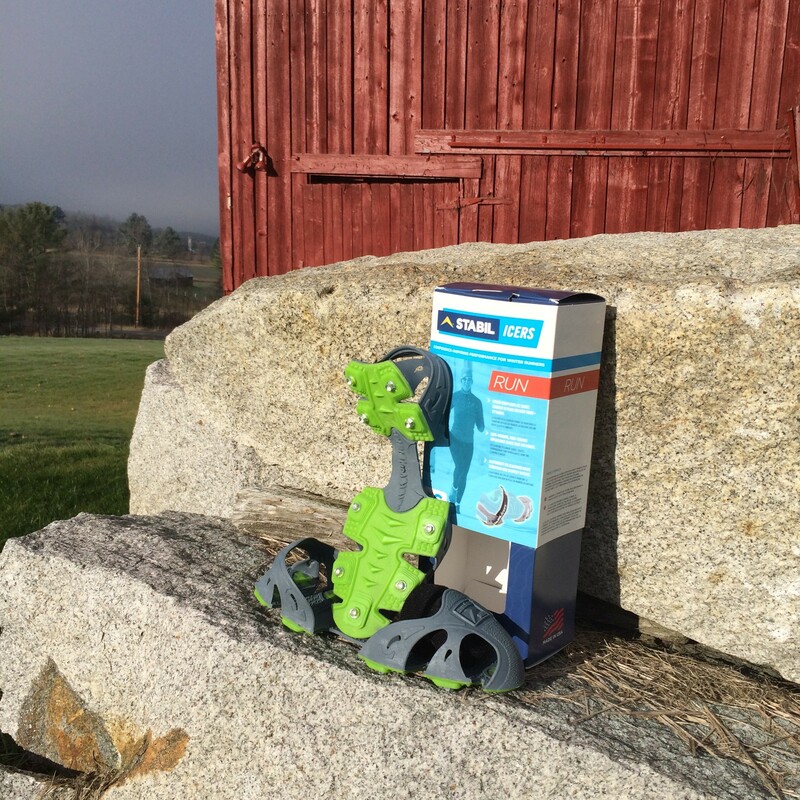 The STABILicers Run ice cleats are a necessity if you plan to run and train through the winter and you live in a cold and snowy climate. I have used STABILicers on some days when the ice has made running treacherous and now they are new and improved. The ice cleats in this version are replaceable and feature a Lightweight TPE Elastomer holds STABILicers Run securely in place. They also now have a Velcro© Power Strap keeps Run ice cleats securely in place for deep snow and icy roads which is great because in the past I have had some trouble with ice cleats staying on. I am looking forward to testing these out this winter as I train through the arctic blast for my next marathon. Now that you have had a chance to check out some of my favorite things for running, triathlon, and working out here is the exciting news for you! Along with my holiday gift guide picks for this year I will be giving away the great items that I have picked for your. Please head on over to my GIVEAWAY page to enter the giveaways and also to spread the holiday gift giveaway love with your friends and family. Here is a direct link to the Organic Runner Mom’s Fresh Giveaway Page or you can click on the picture below to find out more! 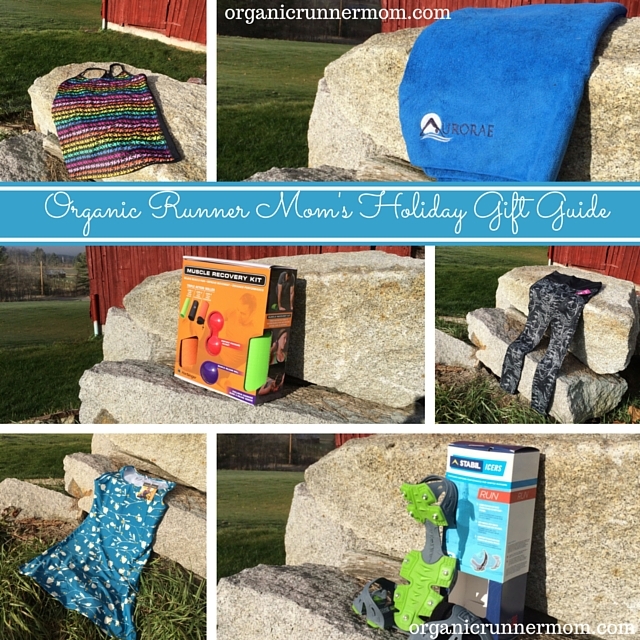 Have a great Thanksgiving holiday with your family and please check back soon as I have the Organic Runner Mom Holiday Stocking Stuffer Guide and Giveaways coming up soon as well as some other awesome gear reviews and giveaways to keep you warm and moving all winter long! 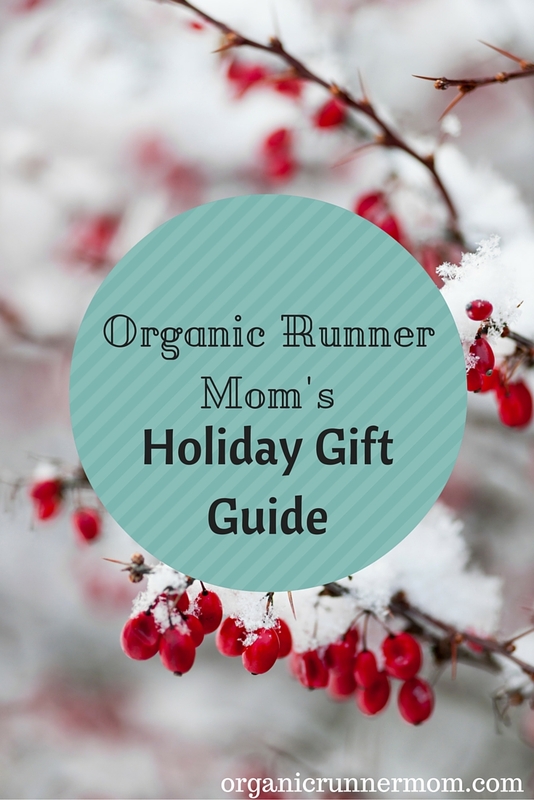 What is your favorite thing on this years Holiday Gift Guide? What are you looking forward to giving the most this holiday season? I love all your picks!! So many great ideas and some new to me brands. It’s so fun to see what products everyone loves. Happy Thanksgiving Sandra! I pretty much love everything on your list! I have the Stabilicers and they are great on ice. I use YakTrax for the sno. Great picks, Sandra! I think I need to check out that recovery kit! 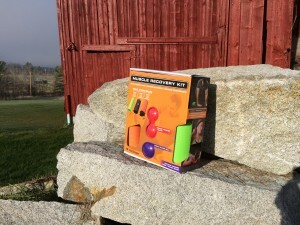 I love the muscle recovery kit! I’ve never seen it before, but it’s an amazing idea! I’m sure many people don’t necessarily think about the recovery side of fitness as often as they should. Great items–having cleats (I have YakTraks) are so necessary for running in snow and icy conditions. And good tights are hella crucial! Love the tights! And the muscle recovery would be amazing for me! I’ve heard so many people say great things about Skirt Sports. I definitely need to check them out! That muscle recovery kit is awesome, and I so need those STABILicers Run ice cleats!! Great list! Love the black go the distance tights! Another year of great products. Thanks for the list. Love them! All awesome picks! I would love to try the Skirt Sports legging in black or heather….or really any color!